Here at Canada Cloud Pharmacy, we pride ourselves on quality service and the highest standards of patient care. We strive to get to know our patients, to best understand how to serve them. We are extremely grateful to have patients who invite us into their homes through the medications we provide and the services we offer. We are a brick and mortar store so you can always pick up your medication at the pharmacy yourself. If you feel like the trip and the chance to see one of the most beautiful cities in the world, please, be our guest! Anthony is one of our customer service representatives. As one of the newest members of our team here, his enthusiasm for quality of service has served to improve customer experience and have a positive influence on his work peers. Coming from a background in the service industry, Anthony’s standard is to go the extra mile to ensure 100% satisfaction and develop meaningful relationships with our customers. 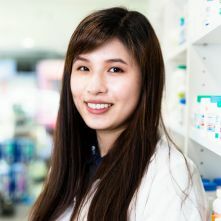 Naomi graduated from UBC, Canada’s premier Pharmacy school, 5 years ago and has worked in community pharmacy ever since. Having gained a wealth of experience already, as a manager and relief pharmacist, Naomi brings with her a devotion for her vocation that has had a meaningful influence on all the staff here. Putting patient care above all else and demonstrating patience and diligence in her work, has made Naomi a big hit with our patients. 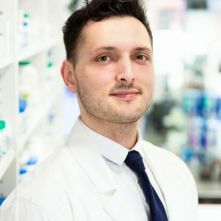 Brian moved to Canada from the UK nearly four years ago and has devoted himself to his profession here with the same level of enthusiasm as he had done there. Our Irish Pharmacist is passionate about affordability and accessibility of healthcare for all. 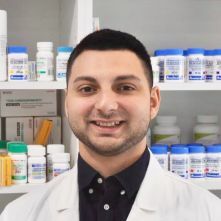 Brian is an extremely knowledgeable pharmacist who enjoys problem solving for the betterment of our patients and staff. Brian is free to talk with all new and existing customers about their healthcare and how we can help.